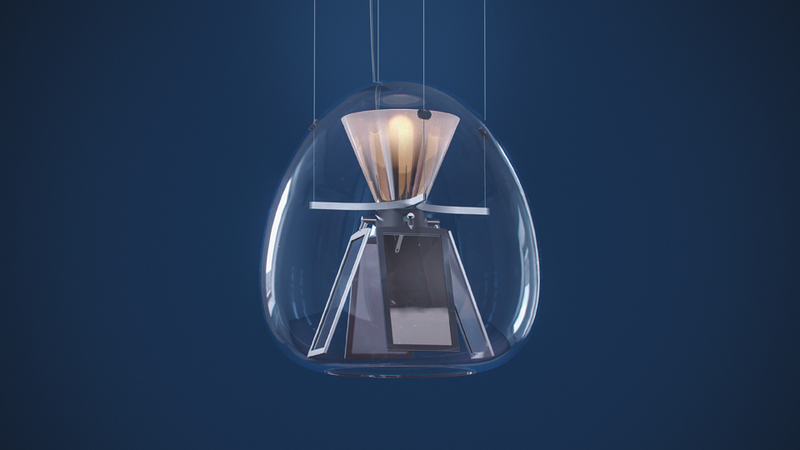 Harry H., a hybrid optical device, represents a change of the light design paradigm. 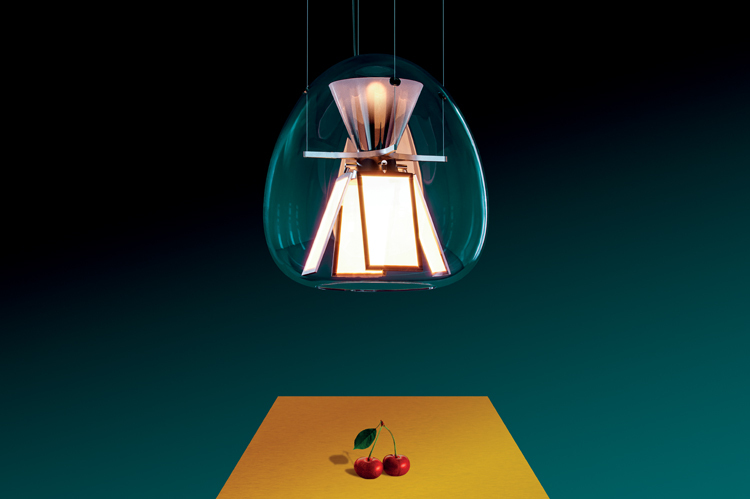 As with LED it was crucial to design without any biases connected with the use of traditional sources, OLED technology has very specific characteristics that make it quite different from previous ones. 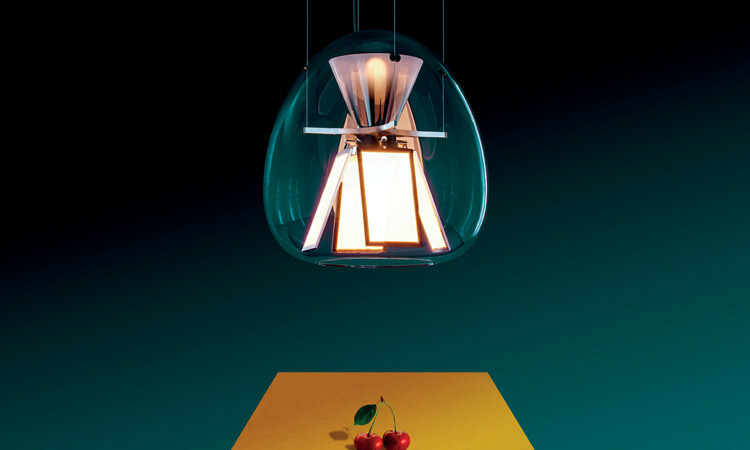 The product is a thorough review of light that starts from the features of this new OLED technology. It is an open system that breaks with tradition, a hybrid system that brings together the LED and the OLED to make the most of both technologies, combining them to provide the best possible performance for man and his needs. 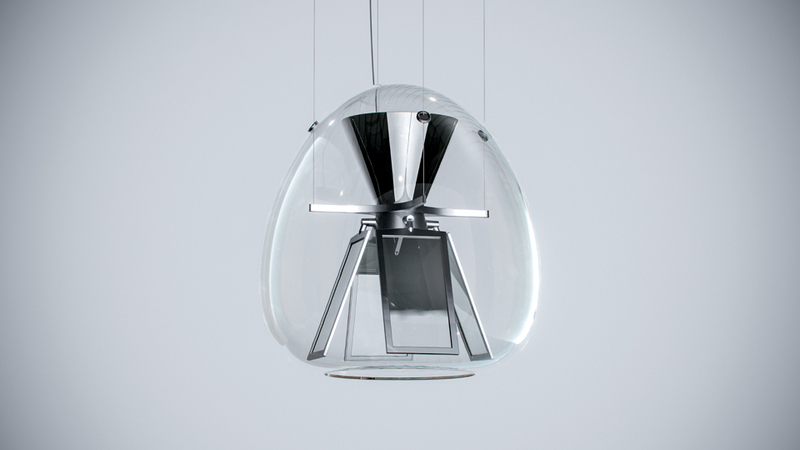 It is an interpretation of the most advanced technology combined with the tradition of hand blown-glass. 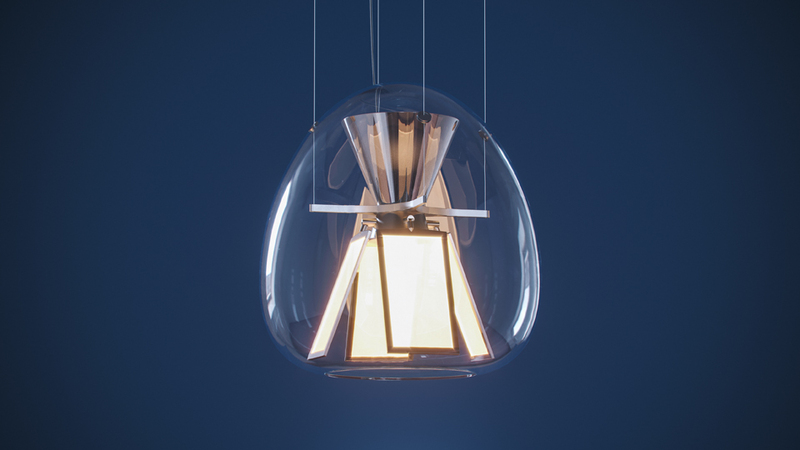 Within the soft geometry of a blown glass diffuser, two separate optical devices are developed and work together to provide a light quality suited to design different scenarios and to ensure top performance. 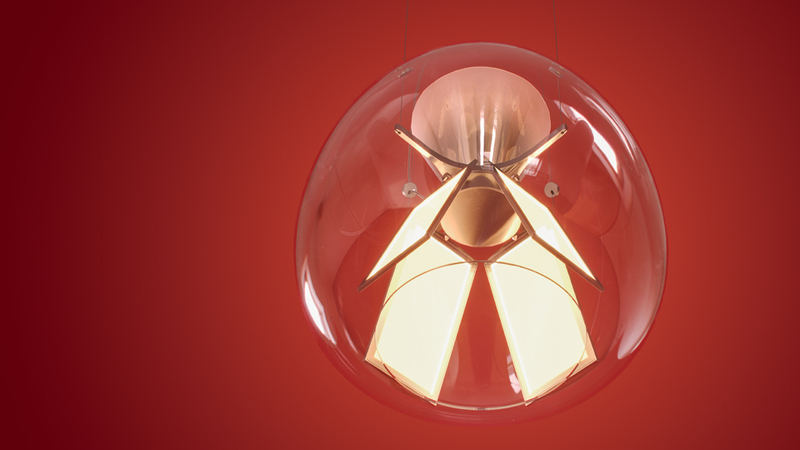 The bottom features four pairs of adjustable OLED panels that emit from from both sides and generate convergence between the source and the reflector. When turned off, the panels are a mirrored surface that reflects its surroundings and the light emitted by the top LED source. The upper optical unit starts from the emission of a COB LED and works across geometries, materials, and innovative finishes to control and diffuse light throughout the environment, mainly sideways and for a small portion indirectly.